As the divine voice beckons John into heaven where we will experience the next cycle of visions, Koester is careful to remind us that "the visions in this second cycle do not raise new issues but deal with the issues of faithfulness that emerged in the messages to the churches. The visions in Revelation 4-5 center readers on God and Christ Those who ponder these two chapters discover the heart of the book, for here its essential revelation is to be found. Through the images of the throne and the Lamb, readers learn how God's will is done through the crucified and risen Christ (Koester Pg. 72, My italics). In verses 1-11, we are treated to a vision of the Sovereign God in His majestic glory in heaven. The center of the vision is God Himself. Worship is taking place around the throne. "The actions that occur in the heavenly throne room show that in the proper order of things, all creation is oriented towards its Creator" (73). The four creatures around the throne have the faces of different animals; only one has a human face (cf. Ezekiel 1:10). Koester points out that these creatures represent the whole created order, with man only being a small part of the creation which is continually declaring the glory of God. Next we see the 24 elders who worship in words and in actions by throwing down their crowns at his feet (4:10). "Their thrones and their crowns are theirs not by right, but as gifts of God." Koester beautifully exegetes the worship which occurs in heaven. Reading his commentary on this section causes me to greatly worship the Lord. Unfortunately, for the purposes of the blog, I will move along. Those facing persecution would have found reassurance in God's reign despite constant threats and danger. Those tempted to syncretism would have been uneasy, because God's rule over creation means that compromise warrants the censure of God Himself. The "complacent and self-satisfied" would been disturbed by the vision because God's grandeur, radiance, and glory expose their riches and pretentions to majesty for the self-worship that they represent. In the right hand of God is a scroll bearing seven seals; as soon as it is mentioned, heaven is filled with expectancy. While the document is presumably a divine decree, the seals on it reflect that their contents are valid (he presents historical background on seals in the first century to substantiate this claim). Chapter five presents the heavenly search for the one who is meant to open the seals on the scroll, only to find that there are none on earth who are worthy to unseal its contents so that God's plan might be fulfilled. Christ - the Lamb who was slain - is the only one who is worthy to bring forth the divine decree in God's right hand. As the Lamb takes the scroll and prepares to open the first seal, we prepare for the coming of the four horsemen and disaster. 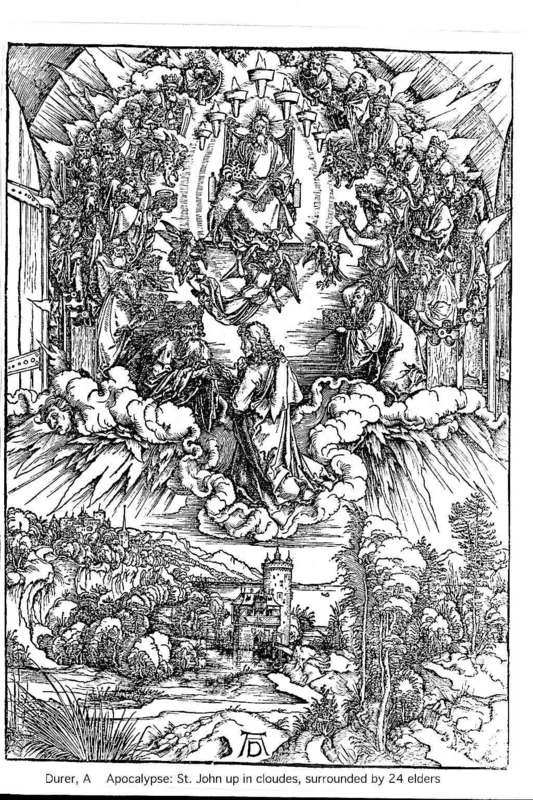 I was initially going to cover the opening of the seals, but in discussing that section Koester makes very interesting arguments in disfavor of reading Revelation 6 as predictions of future events by which we might discern the end of time. I believe that this deserves careful attention. In addition to that, I don't want to rush past the opening of the first six seals. As such, in our next part, we will directly be dealing with the opening of the first six seals. I promise.